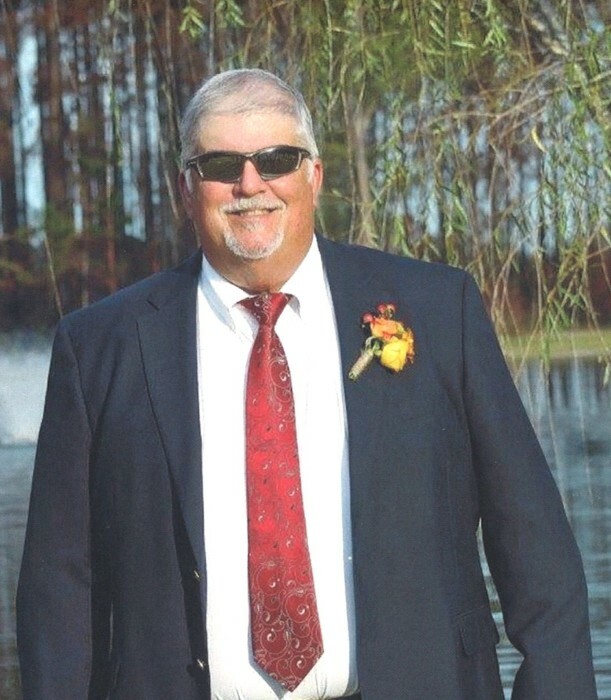 Nobles Funeral Home and Crematory announces the services for Dale Ray, age 66, who passed away Monday, October 15, 2018 at Appling Healthcare Systems. He was a lifelong resident of Appling County and a farmer. Mr. Dale was an avid hunter, outdoorsmen and friend to many. His was preceded in death by his parents, Charlie and Tessie Nobles Ray. Survivors include his daughter and son in-law, Sephy and Paul Rentz of Baxley; two grandsons, Cole Rentz and Micah Rentz of Baxley; sister and brother in-law, Gail and Luther Smart of St. Simons Island and longtime special friend, Polly Flood of Baxley. Funeral services will be held Wednesday, October 17, 2018 at 11 am at Nobles Funeral Home Chapel with Reverend Darrell Quinn and Reverend Brad Park officiating. Visitation will be held Tuesday, October 16, 2018 from 6-8pm at the funeral home. Active Pallbearers will be Robbie Leggett, Brad Warren, Reid Turner, Tony Blanton, Pat Ogden, Jeremy Hallman, Dennis Cauley, Elijah Hale, Doug Cauley, Triston Leggett and Trenton Leggett. Honorary pallbearers will be the members of Pineridge Hunting Club, Big O Hunting Club, Slover Hunting Club and all friends and family in attendance. Condolences may be expressed on the online guest book at noblesfh.com. The family will be gathering at the home of Sephy and Paul Rentz at 8357 Red Oak Road, Baxley. In lieu of flowers the family ask that donation be made to the Wounded Warrior Project at www.woundedwarriorproject.org/donate. Nobles Funeral Home and Crematory is honored to serve the family of Dale Ray.